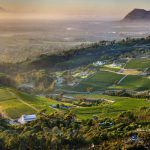 Constantia Glen is ideally located below Constantia Nek, just moments from the bustling Cape Town city centre. We are a picturesque boutique wine estate producing ultra-premium, cool climate wines. Steeped in history, Constantia is the oldest wine producing region in South Africa dating back to 1685. 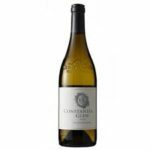 The wine’s complex bouquet gains even more vibrancy once the citrus flavours encounter the palate’s rich, creamy texture, which is achieved during maturation on the lees in stainless steel tanks for 4 months prior to bottling. A portion of 5% Sémillon was incorporated into the blend to add some depth to the wine’s otherwise racy acidity and rich core, resulting in a mouthfeel that demands a sip more. The 2016 Sauvignon blanc is a classic Constantia wine, showing beautiful elegance, a well-defined minerality and the kind of structure that allows for superlative ageing under ideal cellaring conditions.